Kendrick never expected it, a Pulitzer was far from being one of his aspirations. It didn’t even cross his mind, he said. Besides his rebellious and unusual aspect, there are the depth of its lyrics loaded with political reflection and a mix of hip-hop that melts jazz, soul, funk, poetry and African sounds, emerging in each record, but also an enjoyable and commercial music. His work since he emerged from the music scene in 2011 with the album "Section.80", has earned him the new recognition that gives him prestige as an "artist" and reshapes hip-hop music to celestial charts. The election of Lamar as Pulitzer winner had no divisive votes. According to Columbia professor Farah Jasmine Griffin, "DAMN" was welcomed by the jury that evaluated it and gave it unanimous verdict. Lamar emerged victorious among the selection of other works analyzed to award the Pulitzer Prize for Music, among them "Quartet" by Michael Gilbertson and "Sound from the Bench" by Ted Hearne. Professor Jasmine Griffin said that Lamar's musical proposal is a serious conversation with art. Chosen from among 180 proposals, Kendrick becomes the first non-classical jazz artist to receive the award. It is also striking that the distinguished jury selected as winner the most popular of all the nominees, since Lamar is very successful inside and outside the United States. The 30-year-old rapper joins other greats in the music scene who have received the award as Bob Dylan, Duke Ellington, George Gershwin, Thelonious Monk, John Coltrane and Hank Williams. In 1997, Wynton Marsalis became the first jazz artist to receive it. The album "DAMN" released by Lamar has already won the Grammy Award, recognition for its excellent record work, now the list of awards increases with this distinction that elevates it as a work of art. The Pulitzer board considered the phonogram as a "virtuoso collection of songs that captures the modern African-American life". DAMN was released in April 2017 and has fourteen tracks with Rihanna, U2 and Zacari’s featuring. DAMN is not the first work in which Lamar talks with his followers about African-American life; other albums like “Good kid, m.A.A.d. 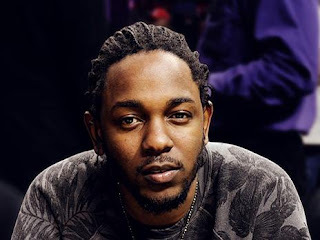 city” and “To Pimp a Butterfly” also show the experiences and criteria of Kendrick on this regard. Like DAMN, these records have received the Platinum Disc. Lamar's lyrics are a chronic about street life, police brutality, perseverance, survival and self-esteem, which have made him one of the most important hip hop artists of his generation conquering audiences beyond rap, rock, pop and jazz. Songs like "Alright" and "The Blacker the Berry" are standards for African-Americans who suffer daily from police violence and the impunity of "agents" against many of their communities. His songs also compete in hit music charts with groups and artists such as U2, Taylor Swift, Imagine Dragons, Rihanna and Beyoncé. Lamar was born in California and since he appeared in the US music scene he has won 12 Grammy awards. He also has the recognition of having been chosen by Ryan Coogler to participate in the soundtrack recording of the film "Black Panther". The Pulitzer Prizes awards journalistic excellence and were established in 1917 according to the testament of the American publisher of Jewish and Hungarian origin Joseph Pulitzer, and Columbia University. The prizes are granted annually in twenty-one categories; in 1943 the award for the best musical composition was given for the first time.